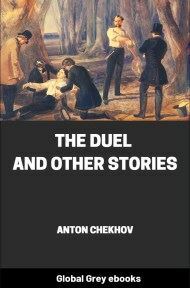 This is Volume 9 of the Tales of Chekhov with 21 short stories, including: The Schoolmistress; A Nervous Breakdown; Misery; Champagne; After The Theatre; A Lady's Story; In Exile; The Cattle-Dealers; Sorrow; On Official Duty; The First-Class Passenger; A Tragic Actor; A Transgression; Small Fry; The Requiem; In The Coach-House; Panic Fears; The Bet; The Head-Gardener's Story; The Beauties; and, The Shoemaker And The Devil. The highroad was dry, a lovely April sun was shining warmly, but the snow was still lying in the ditches and in the woods. Winter, dark, long, and spiteful, was hardly over; spring had come all of a sudden. But neither the warmth nor the languid transparent woods, warmed by the breath of spring, nor the black flocks of birds flying over the huge puddles that were like lakes, nor the marvelous fathomless sky, into which it seemed one would have gone away so joyfully, presented anything new or interesting to Marya Vassilyevna who was sitting in the cart. For thirteen years she had been schoolmistress, and there was no reckoning how many times during all those years she had been to the town for her salary; and whether it were spring as now, or a rainy autumn evening, or winter, it was all the same to her, and she always—invariably—longed for one thing only, to get to the end of her journey as quickly as could be. 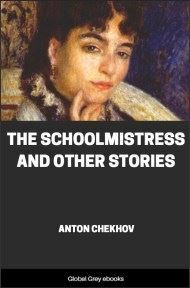 She had got out of the habit of thinking of her past before she became a schoolmistress, and had almost forgotten it. 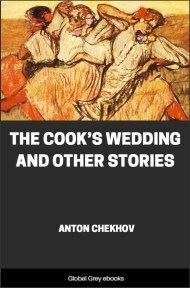 She had once had a father and mother; they had lived in Moscow in a big flat near the Red Gate, but of all that life there was left in her memory only something vague and fluid like a dream. Her father had died when she was ten years old, and her mother had died soon after.... She had a brother, an officer; at first they used to write to each other, then her brother had given up answering her letters, he had got out of the way of writing. Of her old belongings, all that was left was a photograph of her mother, but it had grown dim from the dampness of the school, and now nothing could be seen but the hair and the eyebrows. "They have caught a government clerk in the town. They have taken him away. 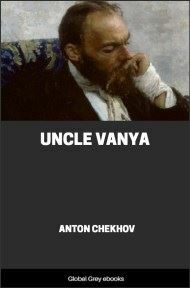 The story is that with some Germans he killed Alexeyev, the Mayor, in Moscow." 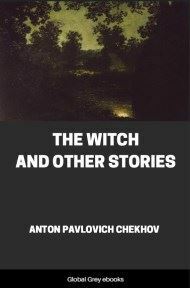 "They were reading it in the paper, in Ivan Ionov's tavern." And again they were silent for a long time. Marya Vassilyevna thought of her school, of the examination that was coming soon, and of the girl and four boys she was sending up for it. And just as she was thinking about the examination, she was overtaken by a neighboring landowner called Hanov in a carriage with four horses, the very man who had been examiner in her school the year before. When he came up to her he recognized her and bowed. "Good-morning," he said to her. "You are driving home, I suppose." 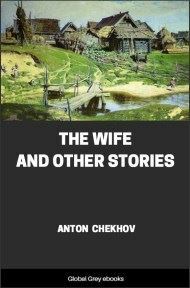 This Hanov, a man of forty with a listless expression and a face that showed signs of wear, was beginning to look old, but was still handsome and admired by women. He lived in his big homestead alone, and was not in the service; and people used to say of him that he did nothing at home but walk up and down the room whistling, or play chess with his old footman. People said, too, that he drank heavily. And indeed at the examination the year before the very papers he brought with him smelt of wine and scent. He had been dressed all in new clothes on that occasion, and Marya Vassilyevna thought him very attractive, and all the while she sat beside him she had felt embarrassed. She was accustomed to see frigid and sensible examiners at the school, while this one did not remember a single prayer, or know what to ask questions about, and was exceedingly courteous and delicate, giving nothing but the highest marks. "I am going to visit Bakvist," he went on, addressing Marya Vassilyevna, "but I am told he is not at home."